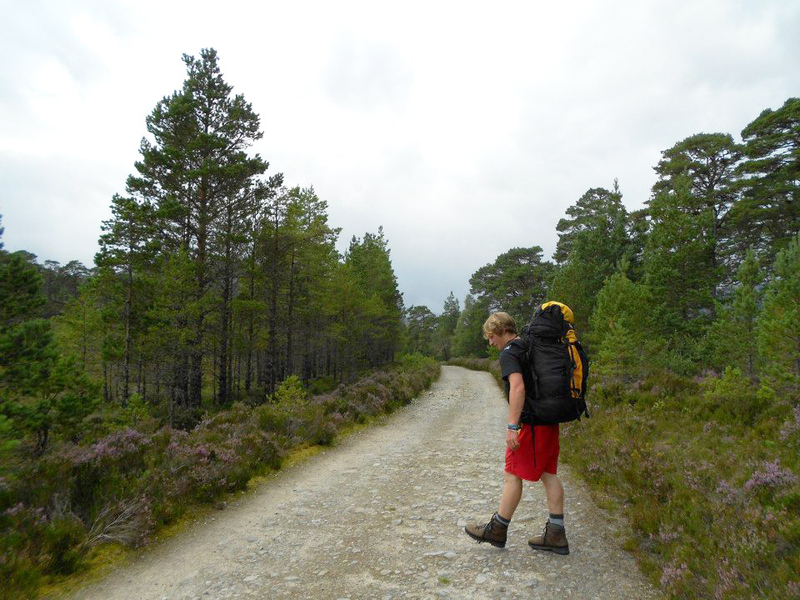 A two-day hike through glorious sunshine, driving rain and many a midge cloud in the stunning highlands of Glen Affric. 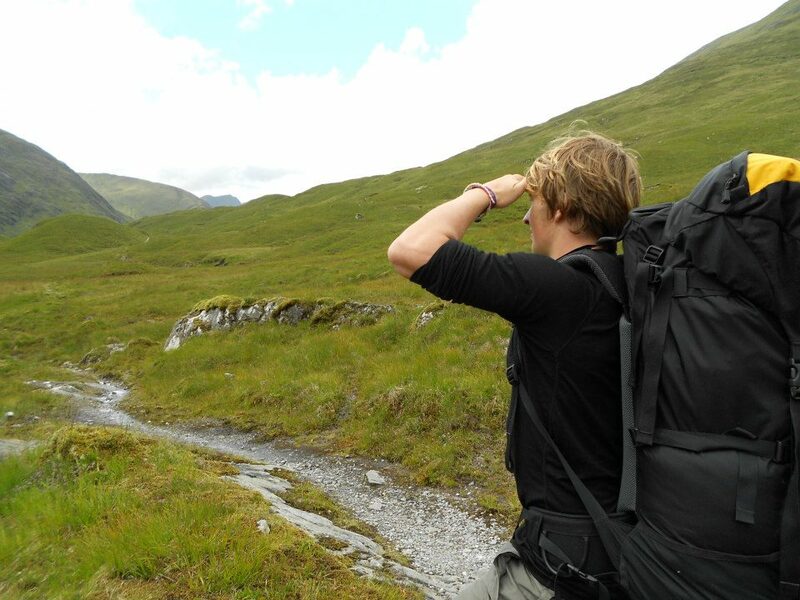 Simon and I had harboured adventurous ideas of walking across the breadth of Scotland, as it looks very pleasingly narrow on a map. 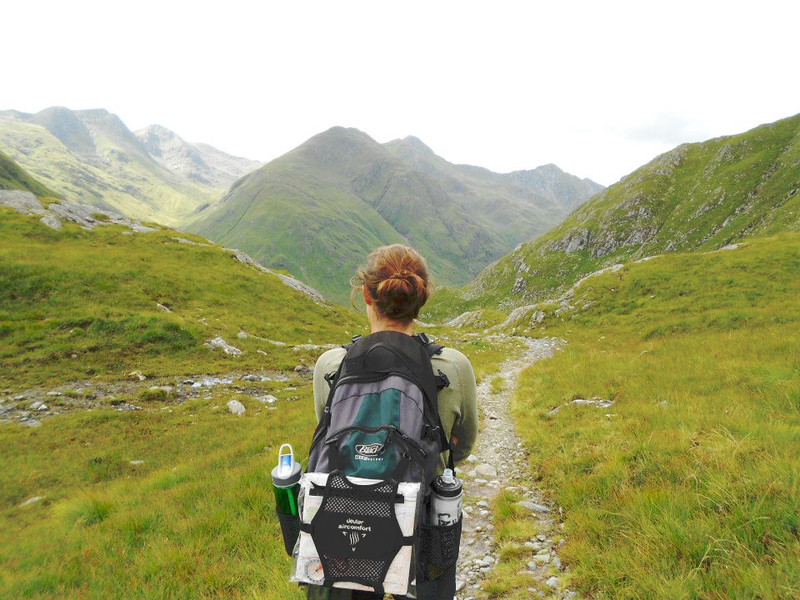 However, once realising that this would take a considerable amount more time than we had on hand, we settled for a two day hike across the highlands, with a night at one of the UK’s most remote youth hostels. 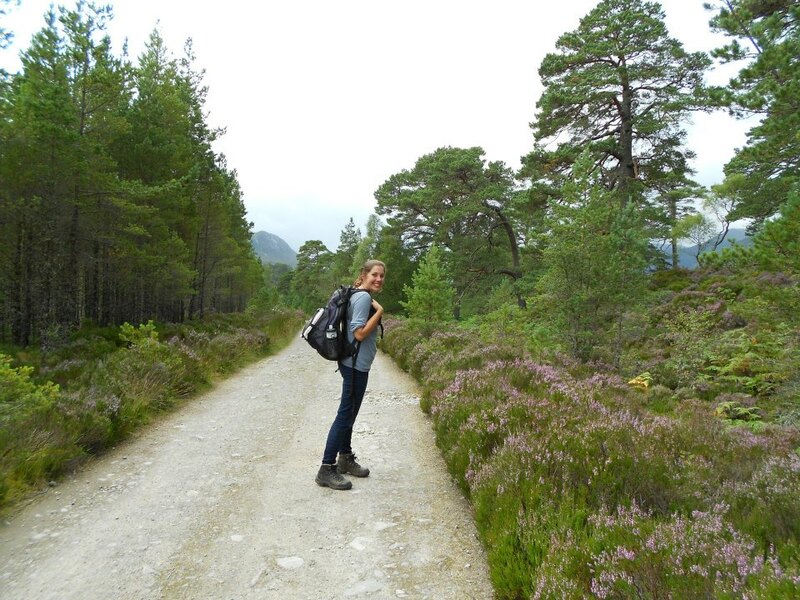 Our walk started from the not-very-adventurous sounding Glen Affric car park. 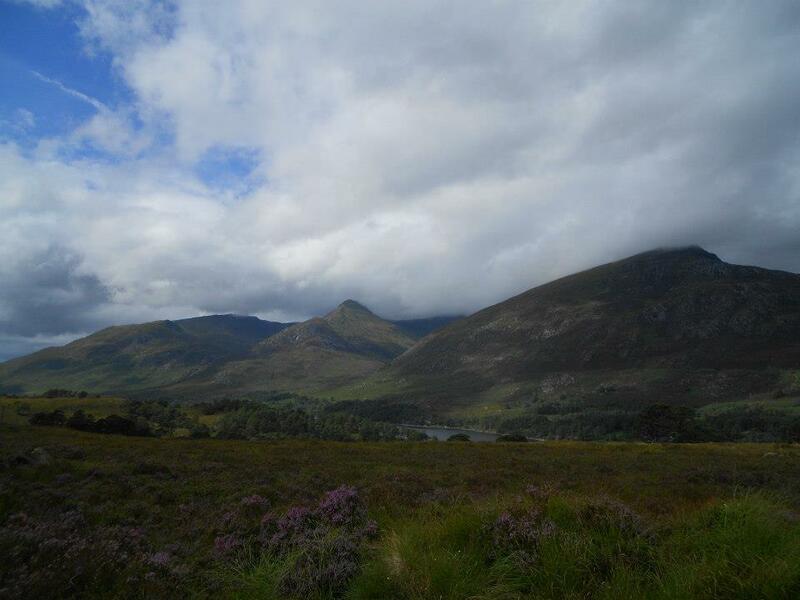 From here, though, you leave civilisation behind and head off into an incredibly untouched and people-free landscape. 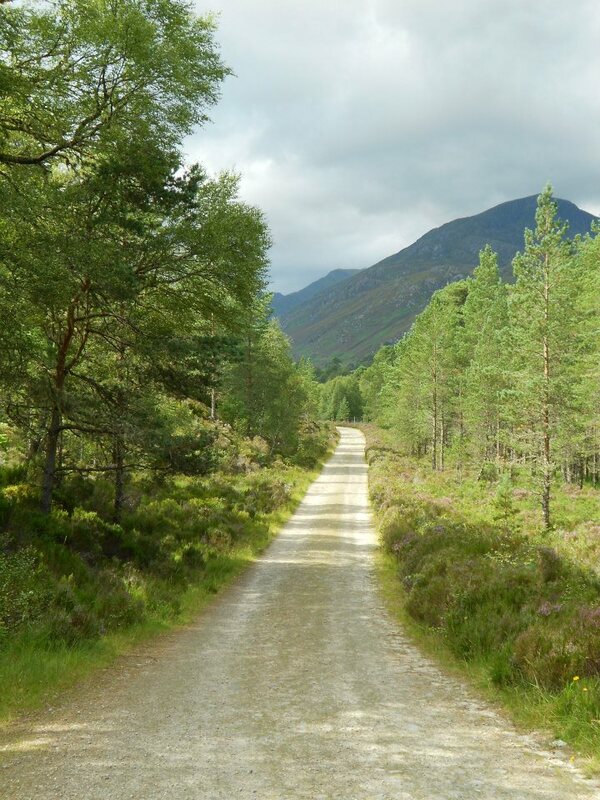 It’s a ten mile ramble, first on dirt roads and then on winding paths, into the heart of the Scottish highlands to Glen Affric youth hostel. We set off below blue skies and warm sunshine, walking past springy heather and grazing ponies, with lush green mountains as a backdrop. 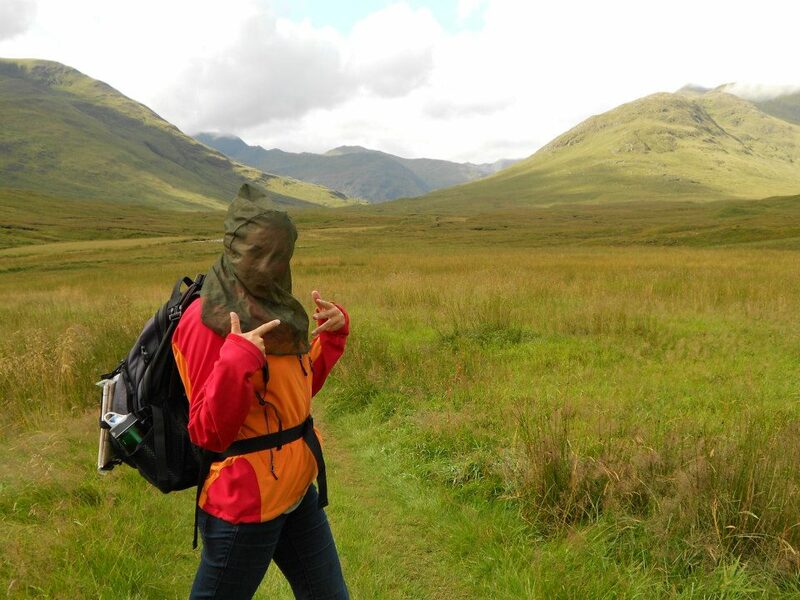 The midges thought we were pretty wonderful for joining them out in the wild but we had come prepared with very attractive midgey headgear to stick on when they got too bad. 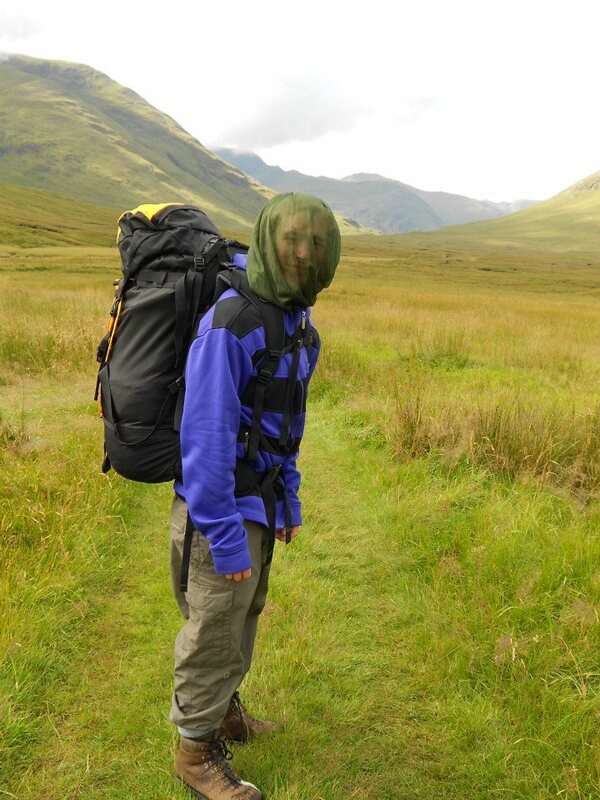 We were halfway to the bunkhouse when I suddenly noticed that all the midges had disappeared and that the sky was rapidly turning a deep iron grey. And then it tipped it down. 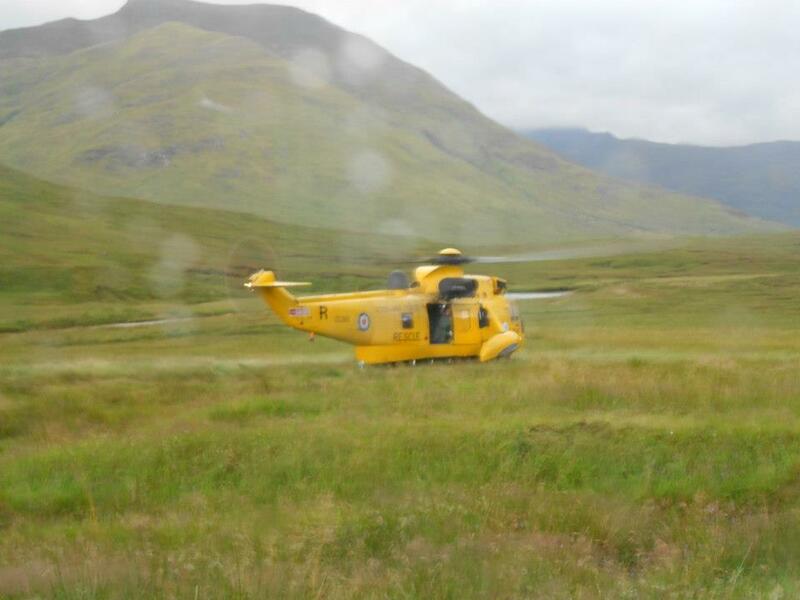 It was a bit like walking immersed in a river for the rest of the way. 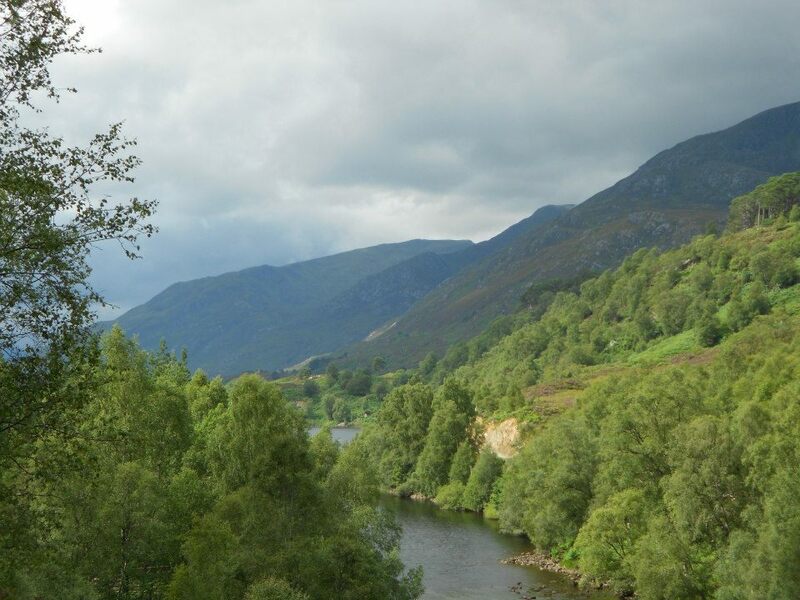 The thing about trudging about in torrential rain, though, is that once you’re completely and irretrievably soaked you stop caring very much, and we were still in good spirits when we finally reached the Glen Affric youth hostel, which is an absolute gem. A former stalking bothy turned eco-hostel, it’s so remote that the warden has to hike in like we did and then stay for a few weeks each time. 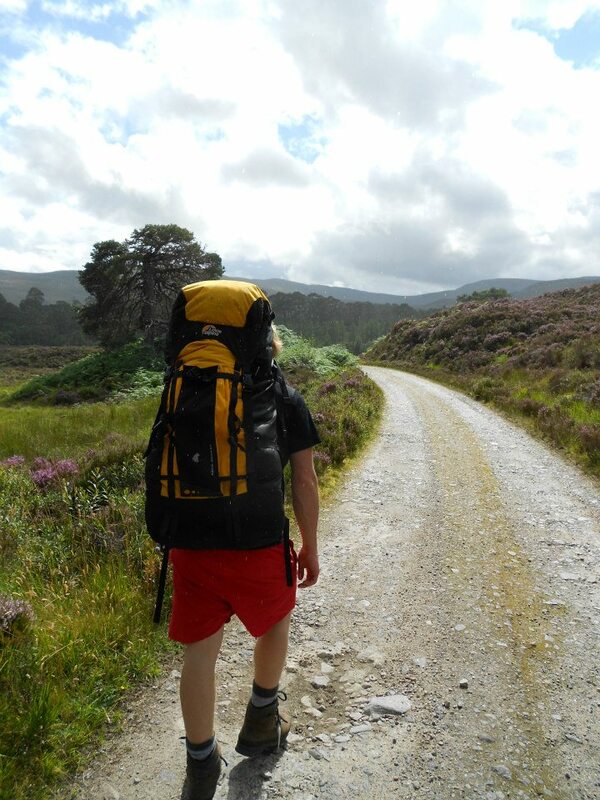 There are no signs to the hostel – you’ll need a map and a compass to make sure you get here, and you have to carry in a sleeping bag and food. 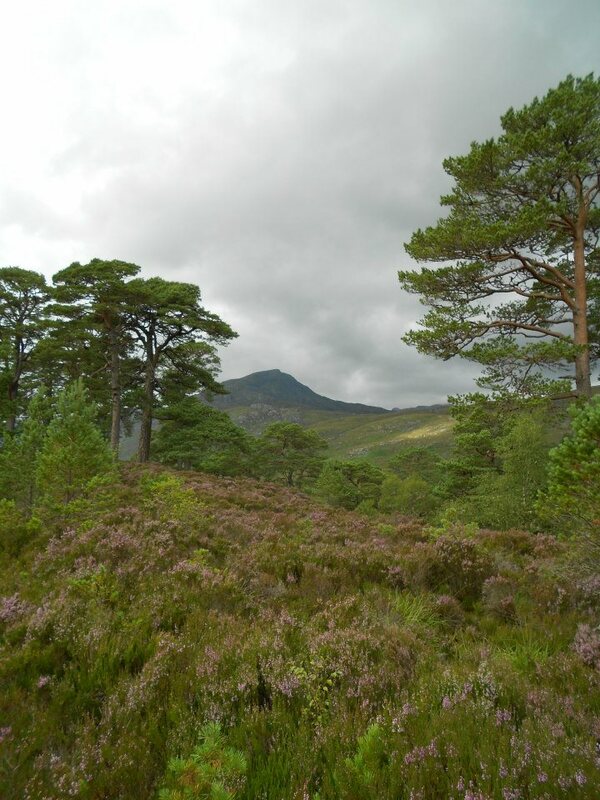 It’s worth it, though – staying here feels like bunking down in a remote alpine lodge, with a cheerfully burning stove and a crowd of happy hikers, climbers and munro baggers (there are 15 in the vicinity) sitting around cradling bowls of stew. We stuck our sodden boots and waterproofs in front of the stove to steam and sat by the flames with enormous portions of pasta – sheer bliss. The next day dawned bright and beautiful and we set off again on a steep mountain path. 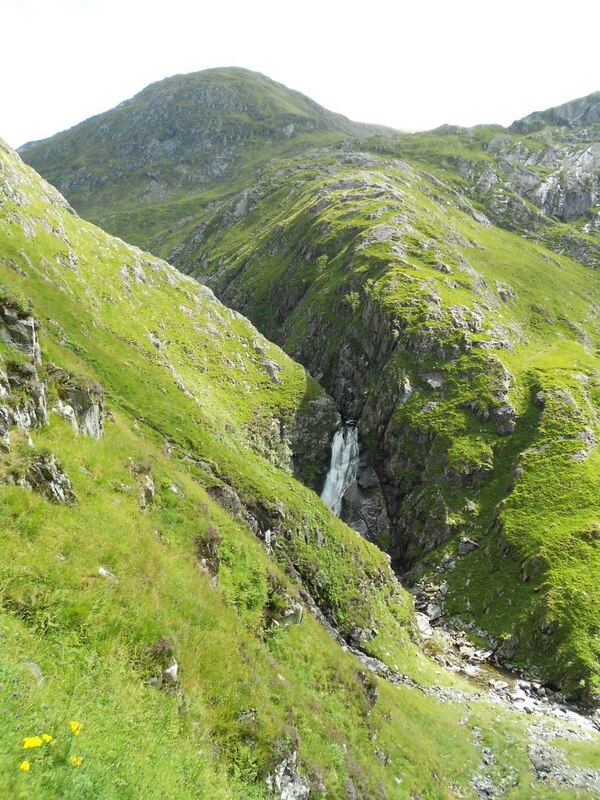 The landscape was even more like something from Lord of the Rings, starting high up in lofty peaks and winding past rushing waterfalls and remote bothys before coming down again to farmland, wizened trees and herds of hardy sheep. Six or so miles later found us at the Cluannie Inn, a stone’s throw from the road to the Isle of Skye, devouring coffee and haggis.